Save users time and allow IT teams to focus on the most important aspects of their work. 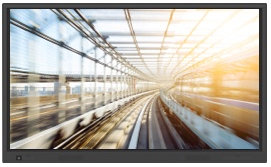 The innovations from Newline Interactive are easy to use and designed to improve efficiency and collaboration. By creating solutions designed around the user experience, they not only improve the nature of work, but you’ll actually enjoy interacting with Newline products. 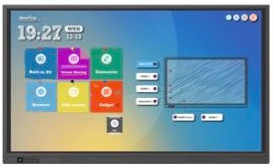 TRUTOUCH solutions transform classrooms and conference rooms into interactive collaboration spaces. This series features Newline’s TRUFlat technology for a sleek, elegant look. It supports team collaboration by sharing voice, video, data, and annotation. This series is designed for an intuitive user experience using responsive IR touch technology and the ability to write over your device’s content. 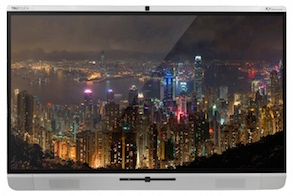 The display can share files with one touch or be used as a digital whiteboard. 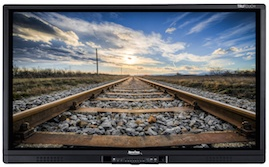 Large-scale multi-touch technology provides allows users to collaborate by annotating on images without needing to download software to their devices. 65”, 75”, and 86" screen sizes. Taking notes with fingers or pens is as easy as using a smart phone or tablet. 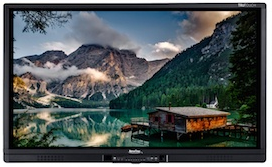 Which interactive display is better for a classroom?